Our Disposable Dust mops are highly effective and economical. 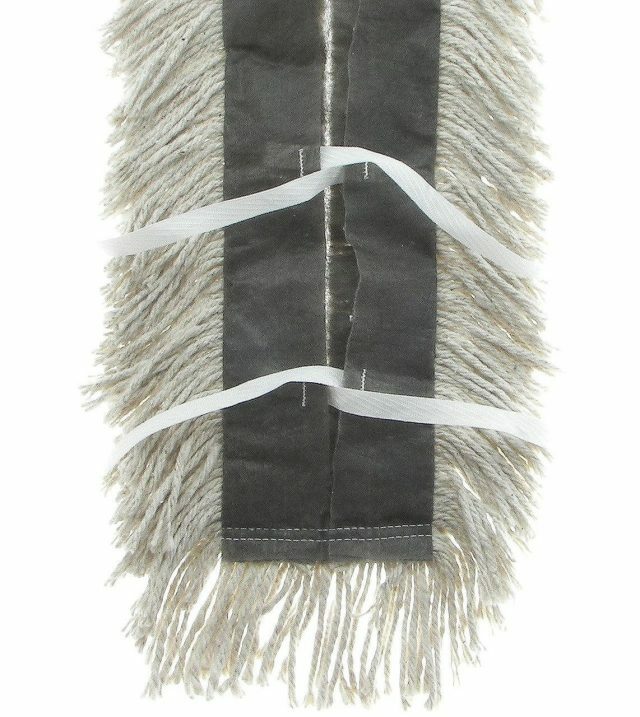 These mops are also available treated with Dust Cling. Ideal when laundering is not an option. Open-back construction with ties. Made from cotton/synthetic blend with a Typar backing. Typar resists staining and will not absorb treatment. Sizes available: 5” width ranging from 12” to 72” in length.